Dr. Evers has served the dental profession with distinction since graduating from Creighton Boyne School of Dental Science, Omaha Nebraska, in 1974. Dr. Evers has chosen to semi-retire and to merge his dental practice into the dental practice of Dr. Wilson. Drs. Evers and Wilson have been respected colleagues of each other for many years, and are very comfortable with the merger. Dr. Evers will continue to see patients on a limited basis, at Bryden Dental Center, 638 Bryden Avenue. Following his graduation from dental school, Dr. Evers practiced dentistry at the North Idaho Health Clinic in Lapwai, Idaho. In 1978 he established his private dental practice in Lewiston, where he has continued to practice until the present time. Dr. Evers has already achieved a career of distinction in dentistry. He is a member in good standing of American Dental Association, the Idaho State Dental Association (ISDA) and the Lewis Clark Dental Society. He has served on the ISDA board of Trustees for two, four year terms. Dr. Evers served as an officer of the ISDA for several years, culminating when he served as president of the ISDA in 1999-2000. Dr. Evers was the recipient of the ISDA Service Award in 1985. 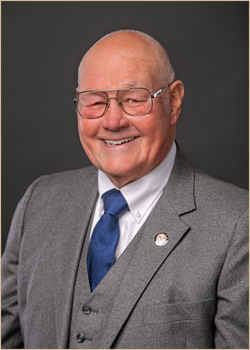 He served Lewis Clark State College as director for the dental assisting program for many years. Dr. Evers and his wife Sylvia, (director of the Lewiston YWCA), have raised three children in the Lewis Clark valley. Dr. Evers is n avid outdoors man a life member of the Lewiston Gun Club, and a life member of the Rocky Mountain Elk Foundation (RMEF). He is a charter committee member of the Lewis Clark Chapter #5 of the RMEF, and an active volunteer for 27 years, and counting, with RMEF. Dr. Evers is also a volunteer for the Idaho Department of Fish and Game.